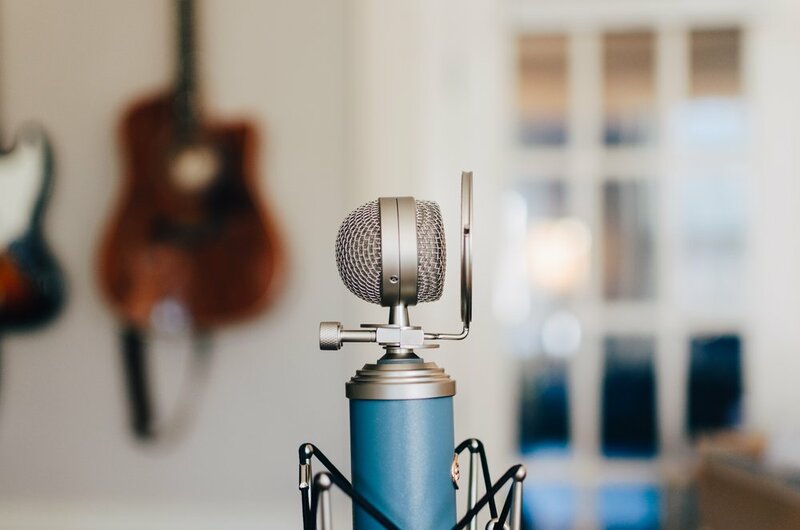 All this talk about podcasts and podcasting lately may have you asking, "Why start a podcast?" Think of podcasting as on-demand digital radio on-the-go. It's a new media and a growing medium for distributing quality content on a variety of topics, styles, focus areas, and industries. Podcasting is a great way for an individual or a business to develop their brand's voice (literally), grow their brand's reach, market a product or service, tell a compelling story, educate their audience, go deeper with their tribe, increase their customer's trust, a fresh stream for delivering content, a new vehicle for increasing revenue, and a relevant, convenient way to connect with their target market and ideal customer. And, I would add: to stay ahead of your competition establishing yourself as a dominant, relevant, more trusted voice. Not convinced? Just Google "podcast stats" or "podcasting growth" and you'll see it's on the rise. If you've considered podcasting for your personal or business brand, now is the time. Or if you're looking to grow your reach, establish more trust, diversify your content strategy, or increase your revenue, podcasting is now a great option. The barriers to entry are easier than ever thanks to inexpensive and simpler technology and a host of podcast experts offering their services as well as introductory and complimentary "how to" videos. Still not convinced? Okay, just subscribe to Inside's Podcasting newsletter for the latest news and updates all about podcasting: inside.com/podcasting. Disclaimer: podcasting is NOT for everyone just like radio is not for everyone. You have to stick with it. You have to be compelling. You have to be unique and interesting. Your content must create value and trust. An idea for a good podcast does not equal a great podcast. It takes work, a plan, a strategy, and a long-term commitment to keep delivering content. If you'd like to chat more about this or learn how I can help you build and create your podcast, reach out. Thanks!